Wow! New improvements so you can move right in! New flooring. New master shower. New appliances. New roof. Oversized bonus room used as second floor den, but can be a 4th bedroom. NO CARPET for easy clean up and avoiding allergens! ONE OWNER has cared for and maintained this home. Nestled in a cul-de-sac across from Lake Arbor, small backyard for easy maintenance. 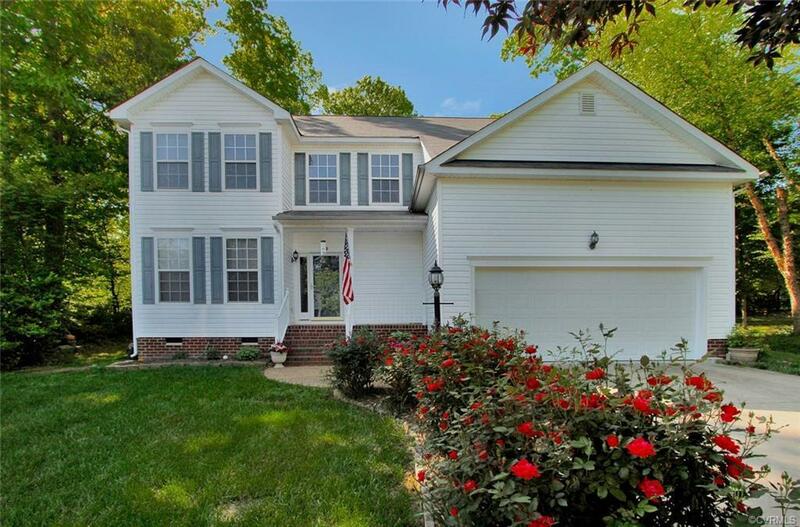 Close to 288, 95, Fort Lee, Shopping, and Chesterfield award winning schools! Make this your home today! More pictures coming soon! Directions: Route 10 To Ironbridge Pkwy. Turn Onto Drayton Landing Drive. Turn Right Onto Arbor Point Tr, In Cul De Sac On Right.